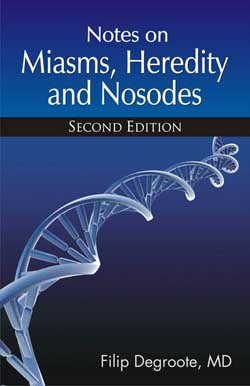 NOTES ON MIASMS, HEREDITY AND NOSODES - Degroote Filip Dr.
Idioma inglés. This book makes an important contribution to our understanding of miasms and their place in classical homeopathic prescribing. The following statement from the foreword to the book summarizes its appeal - Generally it´s rather easy to make a correct first Para solventar este problema, el autor considera el punto de vista del miasma energético y un acercamiento holístico. Dimensiones: 13.5 x 22.0 cm.